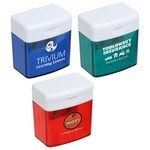 Buy personalized office supplies in bulk from Promotion Pros! 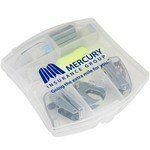 We offer a multitude of colorful products, including customized staplers with rubber grips. With all of our promotional office supply options, you're sure to find what you need. Our promotional rubber grip staplers are a must-have for any company participating in a business expo to use as swag. 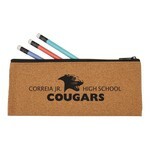 The Cork Pouch features luxurious soft construction in variety of colors and makes exciting Business Giveaways with your logo. 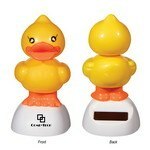 Our Handheld Tape Roller features customization ability to create great Personalized Giveaways and comes with a tape included. Our Dual Tool Pencil and Crayon Sharpener features pencil and crayon sharpener, Customizable with your logo to Promote your Brand. Light up your desk with this compact LED Folding Desk Lamp. This desk lamp is ideal for reading, writing, office work and for use during travel. Travelling on business? 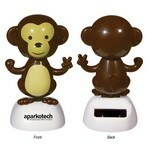 Keep this Mini Office Kit handy and you are all set to go! 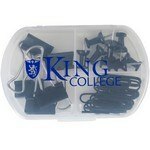 It contains 33 piece of office essentials like push pins, paper clips and binder clips. It helps traveling sales people put together a presentation in double quick time. Pack this Portable Office Kit and you’ll never run out of essential office stationery. It contains mini versions of tape & tape holder, stapler & staples, scissors, staple remover, scissors, hole punch and an unmarked yellow Drimark Mini Max Highlighter. 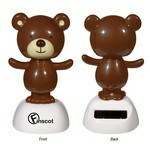 The Solar Powered Dancing Bear is powered by natural light. It adds excitement by moving and dancing all day long to keep your mind off stress. 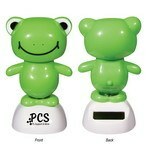 Our Solar Powered Dancing Frog is powered by natural light. It keeps on building excitement by moving and dancing all day long. It is available in beautiful yellow and orange color. 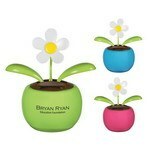 Our Solar Powered Dancing Flower will make anyone happy with its vibrant colors and fascinating movements. It also adds excitement by moving and dancing all day long. Our Solar Powered Dancing Frog is powered by natural light. It builds excitement by moving and dancing all day long. It is available in attractive green color. Our Solar Powered Dancing Bear is powered by natural light. It builds excitement by moving and dancing all day long to keep your stress at bay.